Chevy took Super Bowl commercials to the next level this year by offering fans a chance to win prizes by using an app, Chevy Game Time, for their smartphone. 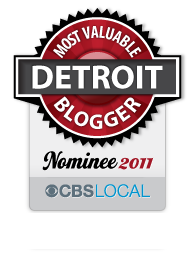 The app, developed by Detroit based Detroit Labs, was available on both the Android Market and Apple’s App Store. Detroit Labs, an eight-month-old startup, creates web, iOS and Android applications for businesses ranging from local startups to Fortune 500 companies. 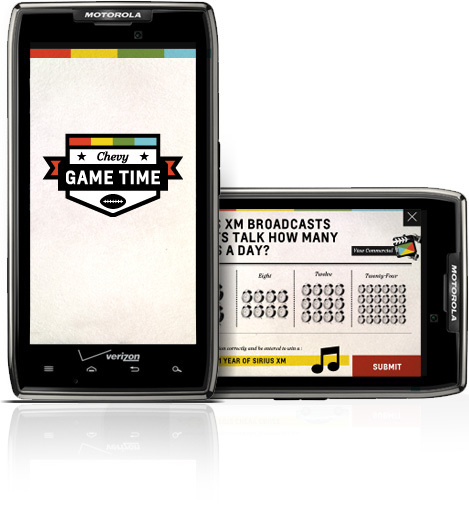 The first-of-its-kind app was used to five away thousands of prizes, including new cars, to viewers of the NFL’s big game. The app engaged consumers through trivia, polls and drawings for 20 cars from Chevy and thousands of other prizes from other game sponsors. The choice to select Detroit Labs was easy because of their experience and connection with the city Chevrolet calls home, Detroit. The task of creating the app wasn’t necessarily a walk in the park and took several meetings for weeks to get it right. Goodby, Silverstein & Partners, Chevrolet’s advertising agency, and Chevy representatives made frequent visits to Detroit Labs’ downtown offices to collaborate on the project. While GSP was responsible for the look and feel of the app, it was Detroit Laps behind the development. “It was exciting to partner with the talented teams at Goodby and Chevy. Their commitment to this project’s success, and to keeping work in Detroit, made the end result possible,” said Paul Glomski, CEO and co-founder of Detroit Labs. Detroit Laps wasn’t the only Michigan company tapped to help, ePrize, the largest interactive promotion agency in the world, was also brought on to handle the instant win prize drawings. Detroit Labs calls the newly renovated M@dison Building home. It is one of many startups to receive an investment from Detroit Venture Partners, a venture capital firm that also calls the M@dison home. This entry was posted in Detroit and tagged app, auto, chevy, detroit, eprize, NFL, smartphone, super bowl. Bookmark the permalink.